Contemporary bathroom suites are, generally speaking, fairly blank canvasses. Excessive detail has been eschewed by designers in recent years and our modern baths, basins, showers and toilets are relatively plain. They’re all different shapes, of course – more so now than in the past, in fact, as modern materials have allowed greater experimentation with shape. But so long as you remember to be sympathetic to the broad outline of your particular bathroom suite (be that curved or angular), any features you add to your bathroom should fit in perfectly. By a huge margin, the most popular finish on contemporary bathroom cabinets is white. Not necessarily because everyone loves white (although a great many people do enjoy the clean look that a set of snowy furniture gives a room), but because it goes with everything. 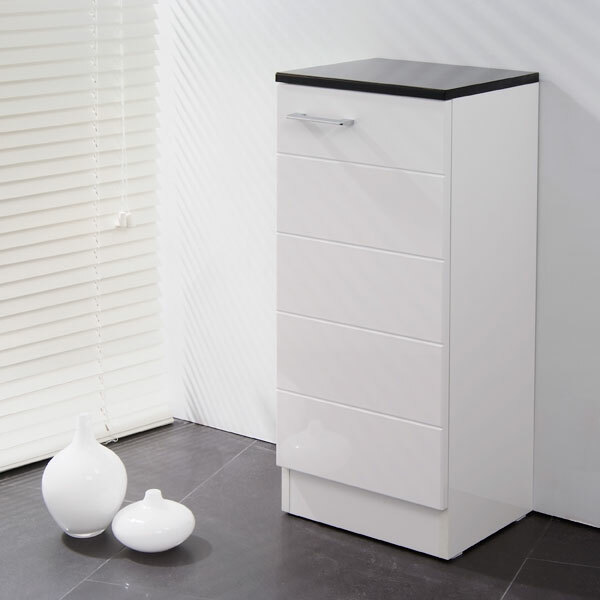 Which is great – because that means you’ve got a huge choice of cabinet-shaped blank canvasses to add to your bathroom. Decorating a cabinet is easy when you know how. The main thing to remember is to select the right type of paint for the surface material of the cabinet(s). Specialist cabinet paint is designed to adhere to the glossy surfaces of contemporary cabinets, and there are many spray on paints available which are quick and easy to apply, leaving you more time to be creative and ensuring that your finish is not marred by brush strokes. Of course, if your cabinets are wood or metal, traditional oil-based paints will adhere well – just remember to sand, clean and primer your surfaces first, and away you go. Don’t forget to make a plan before you begin. Are you going to colour every surface of your cabinets, inside and out (maybe with a contrasting colour on the inside)? Or do you plan to simply add colour to the doors, where the least effort can have the biggest impact? Whatever the area you plan to cover, you can choose a plain, block colour or you can opt for a patterned finish. Unless you’re an artist with a steady hand, you’ll probably need a template in order to create beautiful, bold patterns. 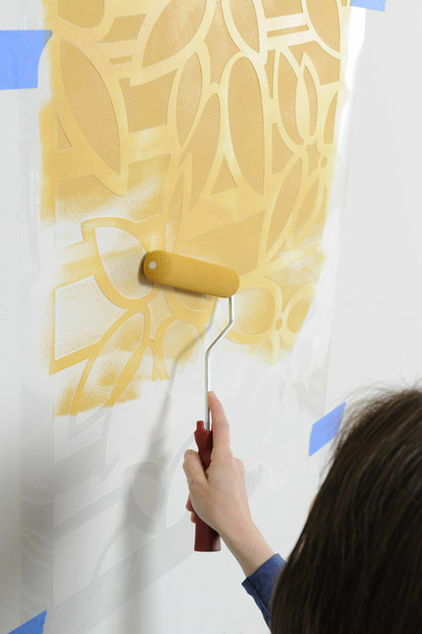 Sticky film can be cut to shape and applied gently to the surfaces you’ll be painting, allowing you to apply your paint in layers, adding different shapes and colours as each layer dries, to build up a gorgeous design. Don’t forget to choose a low-tack film, though, as anything which adheres too firmly to your cabinet could cause damage to your emerging design as you remove it. This entry was posted in Bathroom Furniture and tagged personalise bathroom furniture. Bookmark the permalink.